Visitors, stroll through the Candle Shop Garden and have a chat with us about the many flower and plant varieties showing their true summer colors. Not on the islander but want to enjoy the foliage? We post photos almost daily on Instagram. This entry was posted in General, Madeline Island on June 22, 2016 by Emma. The Pub at The Inn on Madeline Island features gorgeous views of Lake Superior. Without a doubt, this coastal restaurant and inn is our pick for Lake Superior Magazine's Best of the Lake Awards, in the category "Best Place to Watch a Sunrise/Sunset". Whether you've booked a room in the The Inn on Madeline Island or enjoying cocktails on the beachfront patio, walking along the docks or swimming laps in the lake-side pool, the view of Lake Superior is everywhere you turn. Situated on the southwest tip of the island, close to Grant's Point beaches and the ferry landing, the beautiful lighthouse-themed building is in the perfect location for viewing the sun set over the water. A memorable setting for weddings, the Inn hosts many weddings each season, with ceremonies on the lawn overlooking the water and wedding parties in the Great Room in the Lightkeeper's Lodge. The spacious accommodations also work well for large group outings and family events. The Pub and The Inn are delightful at any time at day, with delicious fare and a relaxing atmosphere; but sunset is when the Madeline Island "magic" happens. The sky's bright colors reflect across the lake waters, encouraging scenic strolls along the docks and a beautiful dining experience in the Pub. Here are just a few sunset views from The Inn's backyard: we encourage previous guests to tag their own sunset photos on Facebook Twitter with the hashtag #bestofthelakebestsunset to encourage votes for this gorgeous Lake Superior destination! Click here to place your vote for The Inn on Madeline Island for "Best Place to Watch a Sunrise/Sunset" - and please consider Madeline Island Candles for "Best Shopping Experience"! This entry was posted in General, Madeline Island on April 27, 2016 by Emma. Sidewalk Dog is an excellent resource for dog owners in the region, promoting dog events and information and most importantly, advocating for Minnesota rescues, shelters, and dogs in need. If you haven't already, you'll love following the online travel journal of Kramer, dog blogger and Minnesota/Wisconsin enthusiast! Kramer is Sidewalk Dog's "Canine Reporter", on the prowl for the best dog-friendly destinations in the region. You can read his blog here: Kramer Series. This month, Kramer will be travelling to our area! He'll be in Bayfield and take the ferry over to Madeline Island - and our candle shop - on April 22/23rd! Come stop in Madeline Island Candles to catch a glimpse of this canine celebrity. While waiting, we'll be on "Kramer Watch", sharing Kramer's travels as he gets closer to the island. Keep an eye out for Kramer - here are a few pics so that you'll know the famous travel dog when you see him! 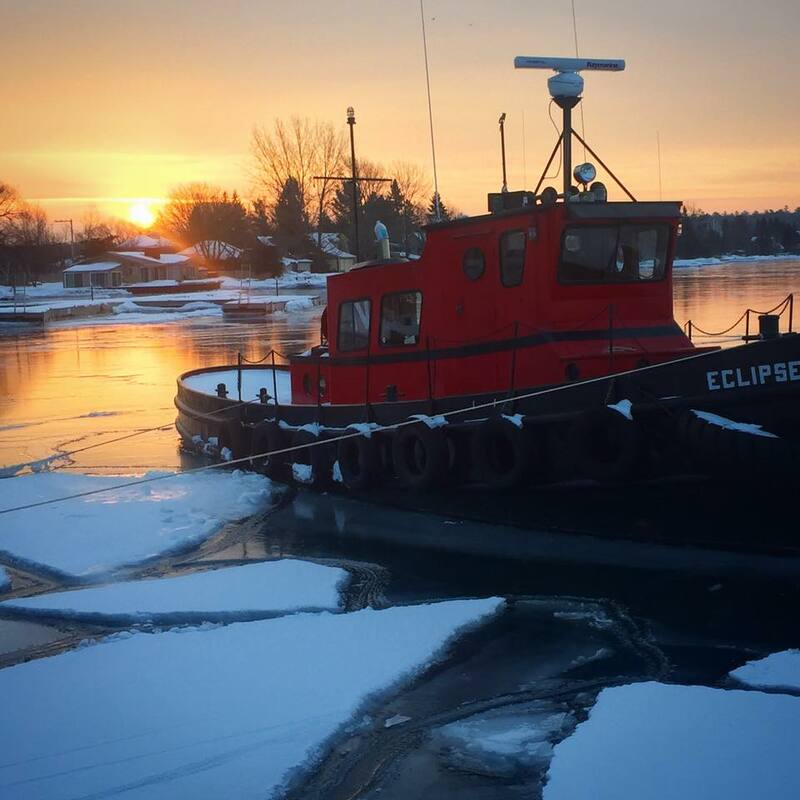 This entry was posted in General, Madeline Island, Photos on April 12, 2016 by Emma. 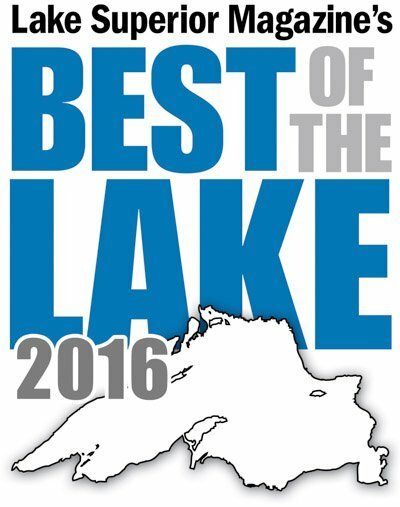 Cast your vote for the Lake Superior Magazine "Best of the Lake" Awards! Click here to vote for us & other favorite local businesses! This entry was posted in General on April 8, 2016 by Emma. 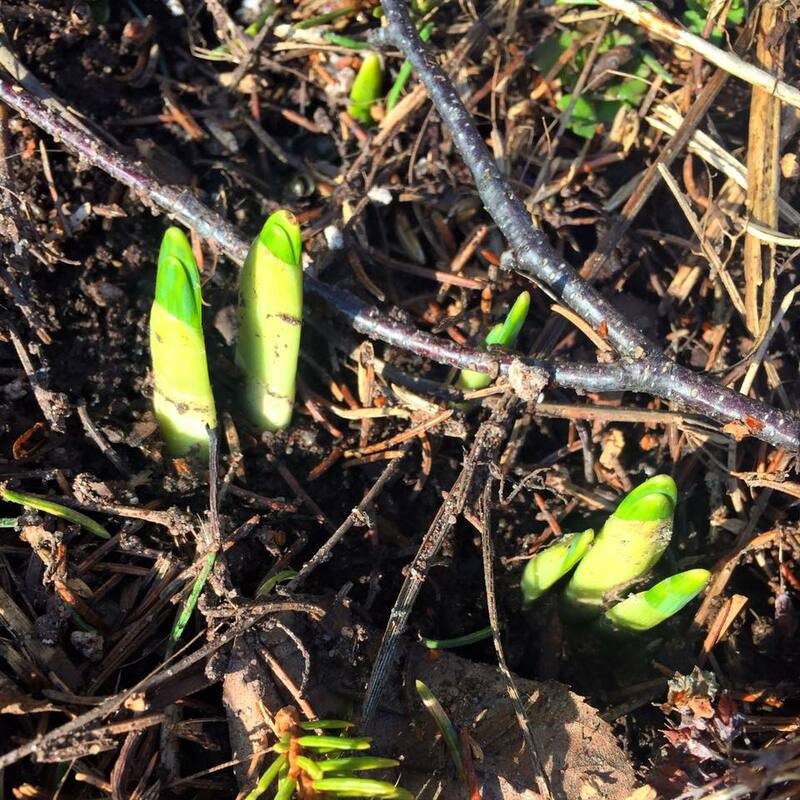 March Newsletter: Here Comes the Spring! Follow our shop on Instagram or Facebook for more photos of Madeline Island. 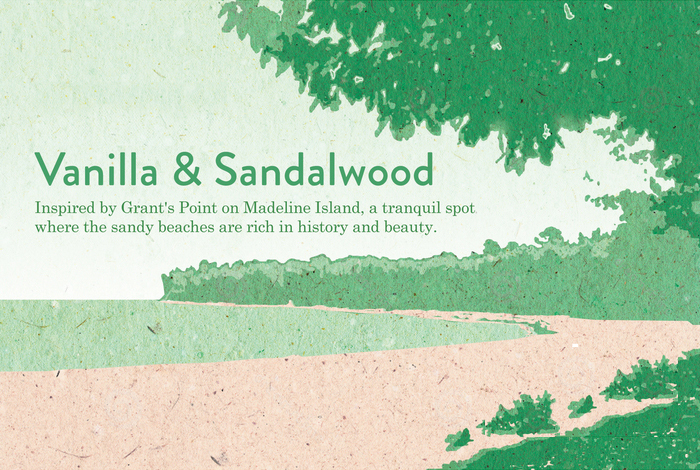 Our March Candle of the Month Vanilla & Sandalwood Soy Candles are inspired by Grant's Point on Madeline Island. The historic south tip of the island is the probable point of the original French fort, and home to beautiful sandy beaches and tranquil breezes. Save 25% on Vanilla & Sandalwood Soy Candles for the month of March. Sandalwood & Vanilla scents are infused with a touch of musk and patchouli. Madeline Island Candles is now on The Knot, the popular site for wedding planning. Visit our Page, featuring beautiful photography of our Custom Wedding Candles. We were absolutely thrilled to be named one of Wisconsin's Best Gift Shops in 2015 by Lake Superior Magazine’s annual Best of the Lake Awards, and also to see that other local Madeline Island and Bayfield businesses were featured. Please support our local community this year with your 2016 Vote! What's happening on Madeline Island... literally, right at this moment? 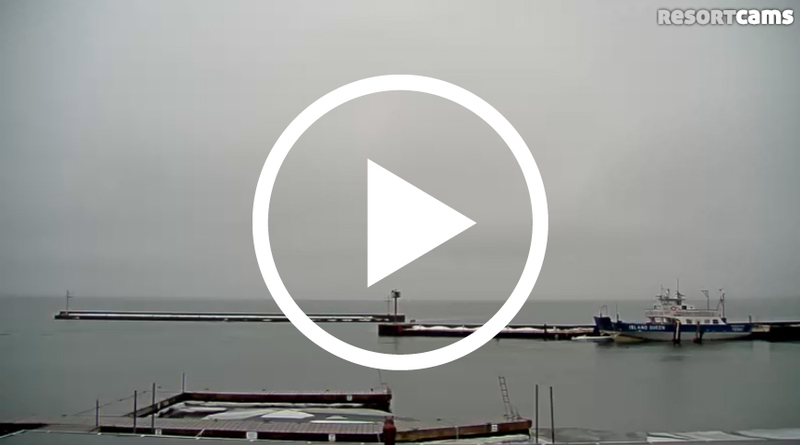 Check out the live Madeline Island web cam for a glimpse at our weather and shoreline! This entry was posted in General, Madeline Island, Newsletter on March 23, 2016 by Madeline Island Candles. Make your holidays bright with all natural soy and beeswax candles! Place your order by December 18 for Christmas Delivery. This entry was posted in General on December 15, 2015 by Madeline Island Candles. Madeline Island Candles has always used Soy Wax for our hand-poured candles. You may have read about the advantages of using soy wax – from slow burning time and better air quality to sustainability and supporting domestic farming (read more here). Now, we are excited to introduce a new collection of handpoured Beeswax candles, all available as beautiful 10 inch taper candles. So you may be wondering – Why Beeswax? Unlike Paraffin Wax candles, Beeswax Candles burn cleanly, and because they are all natural, do not release additives or toxins into the air. Beeswax Candles are hypo-allergenic. They can effectively reduce allergies, asthma, and hay fever by releasing negative ions, cleansing the air of dust, odors, and toxins. Beeswax is a renewable resource, made by the worker bee for honeycomb. Beeswax candles burn very brightly and yet slowly, lasting a longer time than paraffin candles. Each candle is naturally scented by the honey and nectar of flowers packed into the honeycombs – so the sweet scent varies depending on the hive. This entry was posted in General on November 24, 2015 by Madeline Island Candles. We were so pleased to meet with Adam and Jennifer from KBJR/NBC recently, and show them around the candle making studio. This news segment and accompanying article are part of the news station's "Green Life" Lifestyle series, and focuses on our natural candlemaking practices, local ingredients, and green choices. It also touches on our relationship with Woods Hall Studio and Gallery, who have fostered an educational arts community on the island for over 60 years. You can read more about Woods Hall Craft Shop here. Your Green Life: "Green Light on Madeline Island"
Woods Hall Studio and Gallery serves an important role on Madeline Island for artist and entrepreneurs. 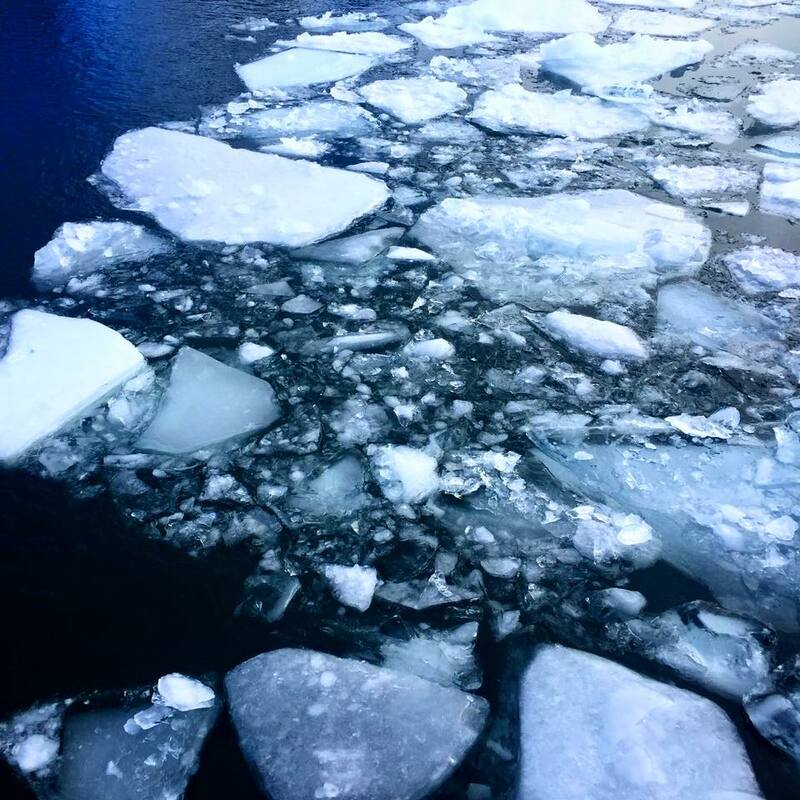 This entry was posted in General, Madeline Island, Videos on November 11, 2015 by Madeline Island Candles. As you may know, Madeline Island Candles is a Finalist in the Martha Stewart American Made Awards, with voting open now through October 19. We appreciate every vote, especially those of you voting every day! Click here to view our profile and cast your vote. A few other American Made makers have caught our eye - especially those from Wisconsin. Check out these other incredible works by local makers! A Design Finalist, Tom Dumke of Oconomowoc, Wisconsin, is a self-taught woodworker that handcrafts solid wood traditional furniture with a modern flare that is built to last for generations. Beautiful work. Um.... we want to try this. Tamara & Daniel Herskovic make "the most luxurious and delicious candy bar you have ever tasted" and are located in beautiful rural Northwest Wisconsin (Spooner). Ecofriendly and beautiful! Milwaukee-based Melissa Pare's geometric eco jewelry is made by using reclaimed local Wisconsin wood sourced from trees cut down in heavily populated urban areas. This entry was posted in General on October 9, 2015 by Madeline Island Candles.